Although David Steve and Tina Costello are supposed to be brother and sister, their own family videos refer to them as the grandparents of son Jacob's children. When confronted with this blatant lie, wife Tina claimed a child made the video and got confused. The only ones confused are Tina and David, for thinking their ridiculous lies would be believed and their life of scams would go ignored. David Steve, David Marks, David Stevens, Mark Stevens, David Costello are among the many names this Marks Gypsy may use. Very large/overweight; much more so than the dated photos you see. I’ve been contacted by numerous people recognizing David and son Jake from their Craigslist car scams. If you think you are a victim of odometer fraud, please contact law enforcement. Mileage rollbacks are felony crimes. Not reporting these crimes lets people like David continue their criminal lifestyle, and puts future car buyers in danger. 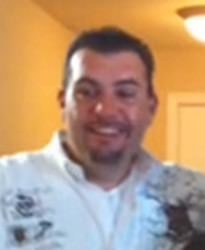 Frequently running Craigslist car scams in Arizona with his son, Jake Costello, selling cars with mileage tampering. Routinely approaching strangers asking to purchase their vehicles in the Phoenix areas of Gilbert, Chandler, Tempe, Mesa, San Tan Valley and Glendale, Arizona. Also travels to California; San Francisco Bay Area, Los Angeles, Sacramento. Note: There's a special place in my heart for this thieving sloth of a husband, as he's the one I contacted saying I would take this story to the masses, after his wife Tina ignored me. When I think of the hard-working men I've known throughout my life, going to work every day making an honest living to support their families, it's hard to call David a man at all. His existence is funded by the money he and his wife scam from the elderly & vulnerable in confidence scams, while he cowardly hides behind countless aliases created to evade law enforcement and mask his identity from future victims. In their Rom gypsy culture, living 'the good life' rules above all else. Pulling the biggest, most spectacular con on the non-gypsy holds the highest level of honor and respect within their organized, interstate network of criminality. In the wild west days, this wouldn't be awarded accolades, it would be met with a glock. Since we've 'evolved' as a society, my weapon of choice against them is exposure (thanks for reading, by the way!). Know that as you meet David, in whatever capacity that might be, that the object of the meeting is to take from you what he can. Are there exceptions to this rule? No. Absolutely not. When you come across this site devoted to your wife, I want you to remember how I made my intentions crystal clear when I contacted you. You and your wife taking *everything* from my father, you'll eventually see wasn't worth the headache you and your family's new-found publicity will bring ~ Think of it like a new pet.. it will grow with you, and follow you wherever you go. You can change your names (you don't think I've safeguarded against that? Come on, you're name-changing gypsies, get real), but your photos and crimes WILL HAUNT YOU, and I will relentlessly devote my time to ensuring this through the years. You and Tina probably don't even know you're famous yet. Before closing, I feel compelled to say this ~ You know what's unfortunate about being a law-evading, criminal gypsy? It's that you become cocooned in a way of thinking, born out of your selection of victims, that you develop a false sense of security and arrogance in thinking that non-gypsies are dumb, or weak, and never fight back. Ooohh David ~ I don't even think I can convey in words expressive enough, just how wrong you and Tina were. I don't assume to be good at everything, but the strong points I do have, I've always recognized and fostered throughout my life. Taking you down and the rest of them via publicity, will fall into the category of a "strong point." The start of my journey has been unexpectedly enjoyable, and as a result, almost effortless. My dad may not have understood what happened to him, but I do fully. He served in the military, ran a business and raised a family working a job that you couldn't hack for a week. He was savvy, caring and giving, and the pillar of responsibility to the family he raised, never paying so much as a light bill late since the 1930s. Stripping him of his ability to financially provide for himself in his remaining years will prove to be the most reckless slip you and your family ever made.